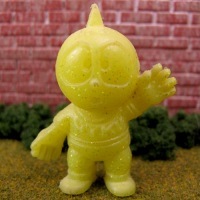 The first auction, Custom Yellow Glitter GITD #60 M.U.S.C.L.E. Figure, was originally slated to be the first UofMUSCLE Auction. Sadly some technical limitations arose and the auction had to be cancelled. 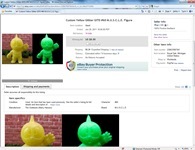 To help fund the purchase of the necessary auction software the auction was moved to eBay. 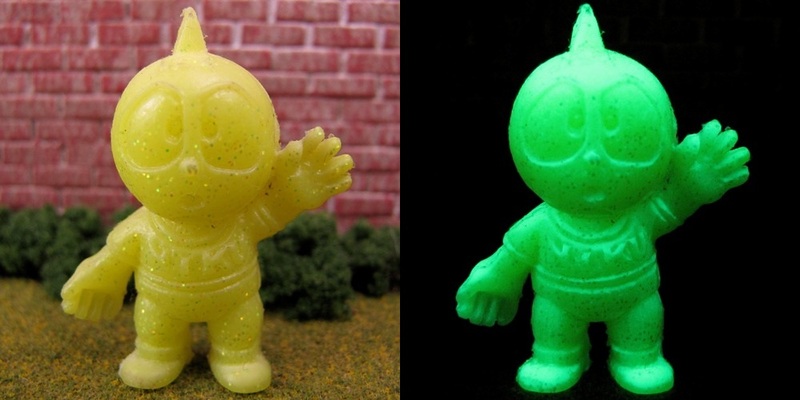 The auction is for a custom Yellow Glitter Glow-In-The-Dark #60, which was created by Marty Hansen (The Godbeast). The price of the auction is set as low as possible. The goal is to offer up an example of some of Marty’s earliest work to all collectors. The figure actually has an interesting provenance. In 2004 this figure was part of a collection of #189 and #60 figures produced by Marty (TGB). 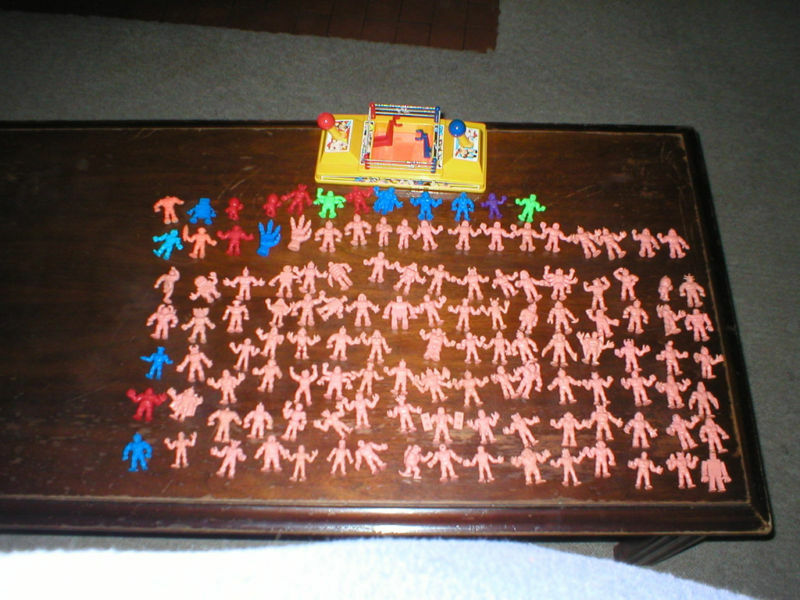 In 2006 the figures were sold. Part of the reason the University of M.U.S.C.L.E. purchased the figures was that it seemed best to keep such an interesting group of figures together – as many colors were one of a kind creations. Unfortunately a proper inventory was not taken when the figures were initially received, because it wasn’t until 2008 that a problem was discovered. The entire set of figures had not been shipped. Adding insult to injury, the seller refused to acknowledge any emails or wrong doing – whether intentional or accidental. As the set is no longer complete, and the University of M.U.S.C.L.E. archives needs to be reduced, it finally seemed appropriate to start separating the remaining pieces of the set. As the seller of the auction, 78cp, it seems inappropriate to suggest a final auction price. However, given the opening bid prices of other auctions featuring the work of Marty Hansen, it will be interesting to see how the concept of price versus value affects this auction. 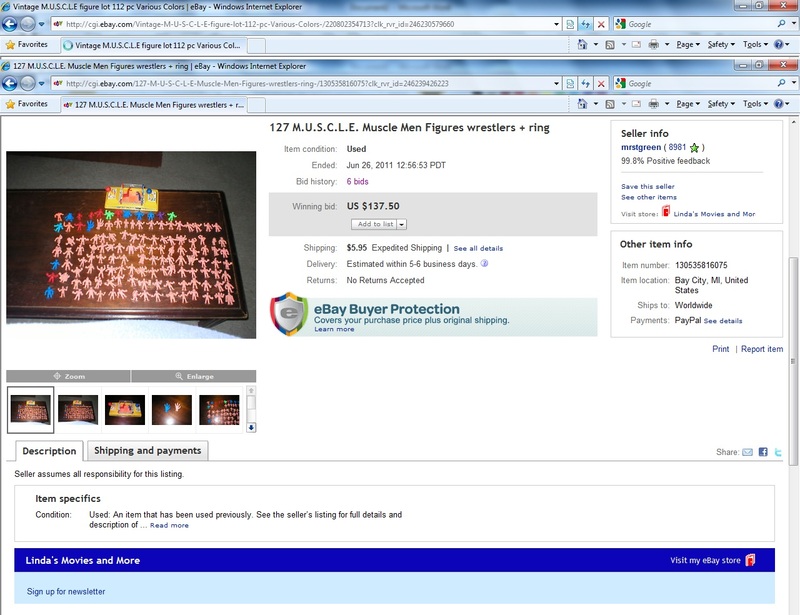 The second auction, Vintage M.U.S.C.L.E figure lot 112 pc Various Colors, is a refreshing M.U.S.C.L.E. auction from a seller named treasures6. It features a lot of 112 color figures, a fair starting bid, reasonable shipping, good pictures, and a total lack of outrageous claims. The figures are all in 28-pack trays, but the seller doesn’t attempt to pass the trays off as some type of exclusive collectible. Probably the most bizarre aspect of the auction is that the seller chose to leave one spot in the figure tray empty, and put one of the figures on top of the tray. It is an utterly meaningless choice, but seems strangely humorous too. As more and more M.U.S.C.L.E. auctions feature outrageous claims, absurd starting bids, equally absurd ending bids, and terrible pictures it is nice to see a reasonable M.U.S.C.L.E. auction. At times it seems as if feeling nostalgic for old M.U.S.C.L.E. auctions has become part of the fabric that makes up M.U.S.C.L.E. collecting. The second auction will sell for $72.85. Up for auction is a lot of 127 M.U.S.C.L.E. 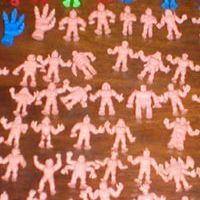 (Millions of Unusual Small Creatures Lurking Everywhere) men wrestler figures plus one M.U.S.C.L.E. ring. The figures are mostly in very good condition with a very small number of them having some staining. The ring is in good working condition with some minor fraying to the ring ropes, Included in the lot is 2 claw figures also. 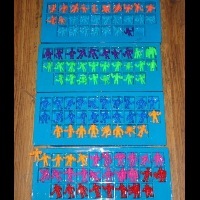 There are 108 pink/flesh figures, 1 purple, 1 light blue, 2 green, 2 orange, 6 red, 7 blue. 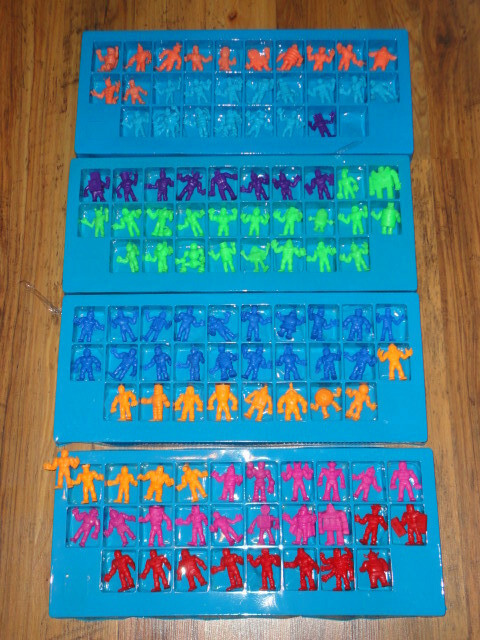 Most of the figures are unique but there are 8 duplicates. Really the fault that can be found with this auction is the bidders. As of writing this the auction price was $78.77. Some collectors might argue that it is hypocritical to suggest the final price of the second auction will be $72.85 and still find fault with the current price of the third auction. That may be a sound argument if $78.77 was the final price of the third auction. However, the price of the third auction is guaranteed to go up. The fact that a Satan Cross, Dark Blue #153, and Flesh #153 are in the auction will inexplicably drive the price higher. All three of these figures have developed prices that far exceed their value. 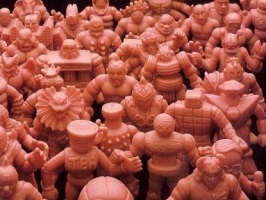 The high price of this auction is the perfect example of what can make M.U.S.C.L.E. collectors long for a far simpler time in collecting. The final price of this auction will be $147.55. Follow-Up: The first auction sold for $8. Because the University of M.U.S.C.L.E. was the seller a final price was not predicted. 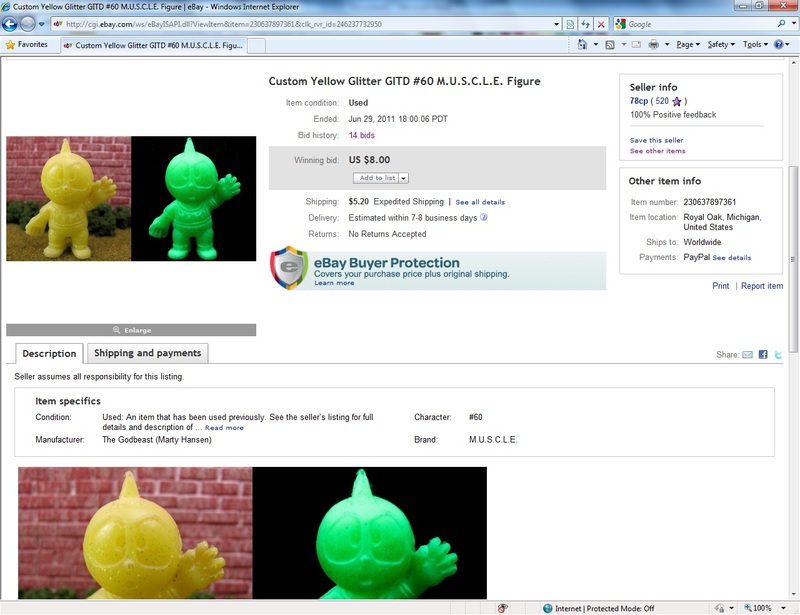 It is very interesting to note that the figure sold for less than many other contemporary custom figures. It may suggest that, aside from #153, recasting M.U.S.C.L.E. figures in new colors has lost some popularity and/or value. 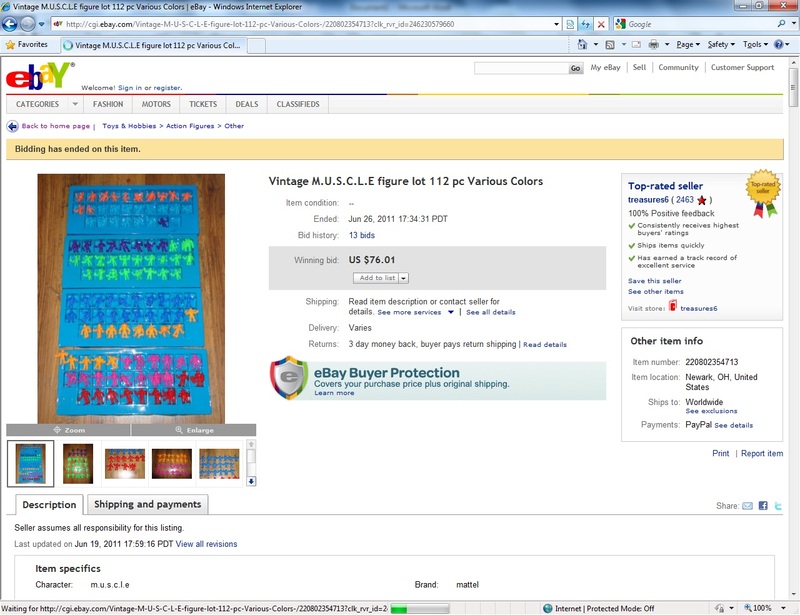 The second auction sold for $76.01, which is $3.16 more than the predicted price of $72.85. 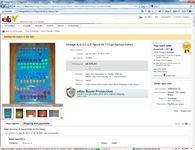 The third auction sold for $137.50, which is $10.05 less than the predicted price of $147.55. This entry was posted on Thursday, June 23rd, 2011 and is filed under Auction Watch, UofM News. You can follow any responses to this entry through RSS 2.0. You can skip to the end and leave a response. Pinging is currently not allowed. Thats for damned sure. Prices are just silly at this point. Totally got sniped on the Color 28 packs auction. Very disappointed. I hadn’t bid on a Muscle auction in a while, and was quite keen on winning that one.